When I think of the summers of my youth I think of hot summer days and wedges of cool, refreshing watermelon dripping down my chin. Now that I’m an official grown-up I figured I should share some more “adult” ways to enjoy watermelon. 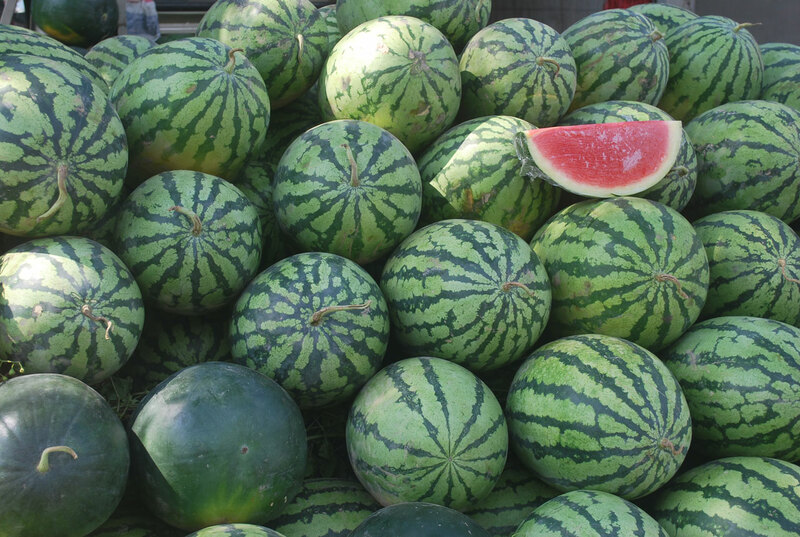 It is high season for watermelon right now so it is relatively inexpensive and oh so sweet and delicious. Below is a salad I came up with that is both refreshing and unique not to mention a very colorful dish for your table that frankly will just make you smile.